Background: SYK protein kinaseis widely expressed in hematopoietic cells and is involved in cellular responses to extracellular antigens and antigen-immunoglobulin complexes and thus of particular importance to the initiation of inflammatory responses. Spleen tyrosine kinase (SYK) mediates signal transduction downstream of a variety of transmembrane receptors including classical immunoreceptors like the B-cell receptor (BCR). 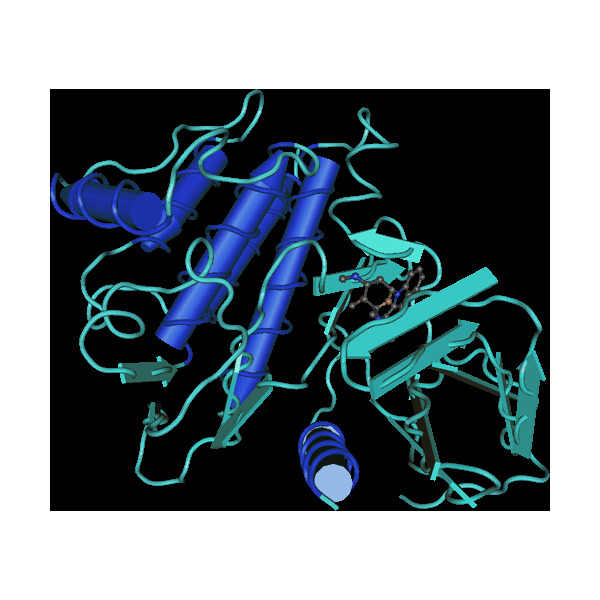 SYK is a non-receptor tyrosine kinase, which contains two SRC homology 2 (SH2)-domains and a kinase domain. Mammals also express the SYK-related molecule ZAP70, the expression of which is mostly confined to the T and NK cell lineages. Robert L. Geahlen (2014) “Getting Syk: Spleen Tyrosine Kinase as a Therapeutic Target”, Trends Pharmacol Sci. 35(8): 414–422. 6-(5-fluoro-2-(3,4,5-trimethoxyphenylamino)pyrimidin-4-ylamino)-2,2-dimethyl-2H-pyrido[3,2-b][1,4]oxazin-3(4H)-one R 406 is an orally bioavailable and selective inhibitor of spleen tyrosine kinase (Syk).